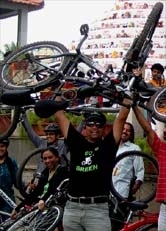 GoGreen Ride towards New BEL Road RMV Extension II Stage 03Apr11 - GGI-Group size: 4000+ Professionals, Increasing on day to day basis, Come & join us 2 serve Mother Nature. 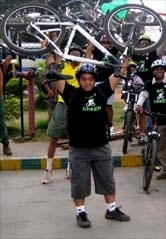 03 Apr 2011 Go Green campaign ride was decided towards our youngest GGI member's house located on New BEL Road, Vidhyaranayapu. 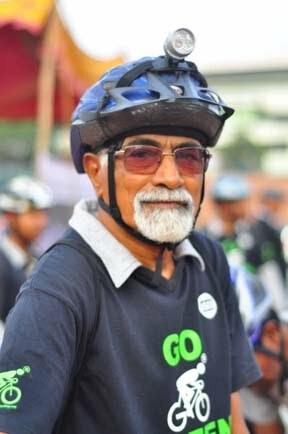 He is aged 77 years & has accomplished his 510 Kms cycling advent. 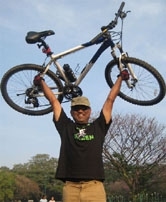 As usual our ride started from South RIS junction @ 6:45am and reached cubbon park central library by 7:15am. 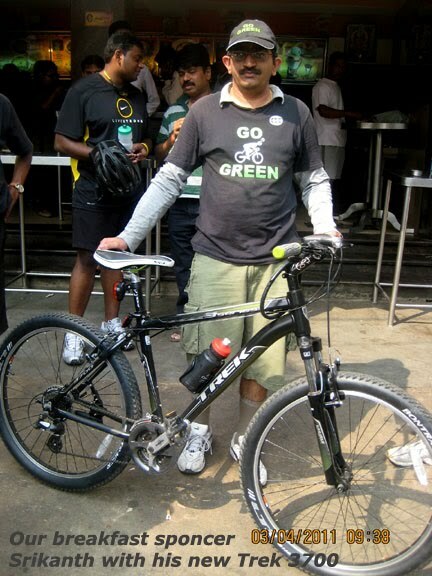 after meeting other GGI's from other regions and started towards New BEL Road which was 9km from cubbon park. We reached Janardhan's sir house by 8:15am where he had showed us about his past achievements & medals. offered the group with Tea & biscuits after which we started back. 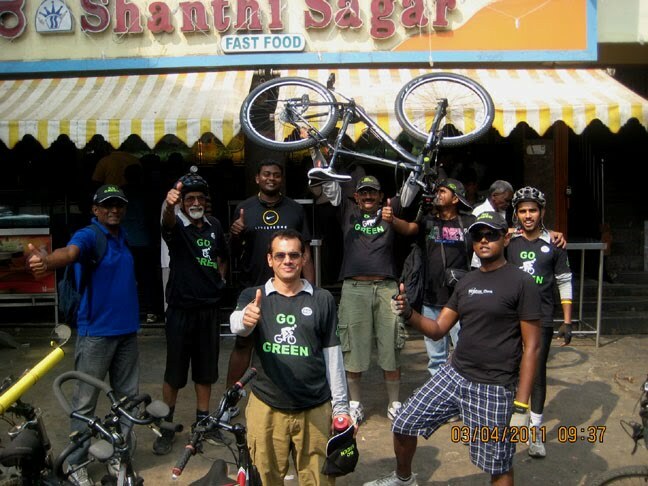 We stopped @ ShathiSagar hotel for breakfast which was sponcered by Srikanth for buying a new Trek 3700 bike. From Cubbon park central library. this trip after 6yr gap ignoring ageing. GGI-Group snap along with our Janardhan sir & his family..